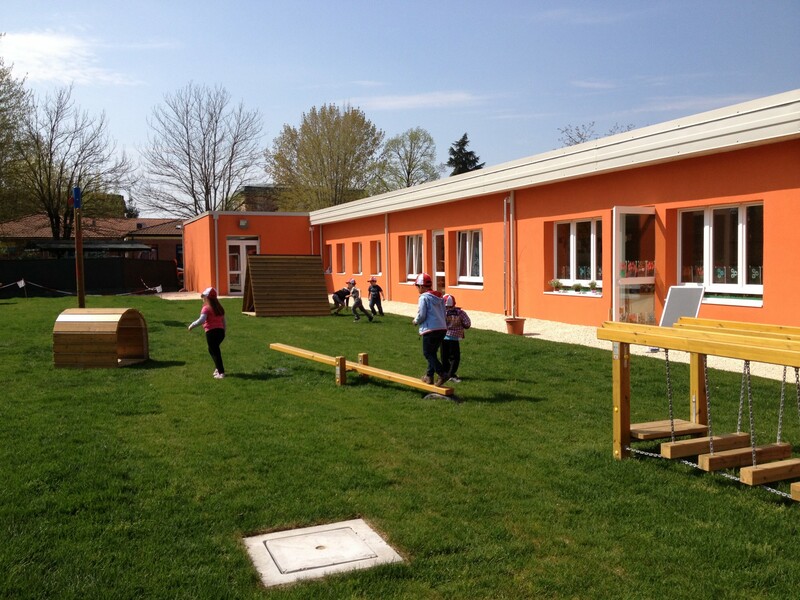 An eco-friendly and anti-seismic school is returning smiles. In 2012, after the devastating earthquake that struck Emilia Romagna with entire cities destroyed, Medolla, a small town in the province of Modena, begins to smile again. 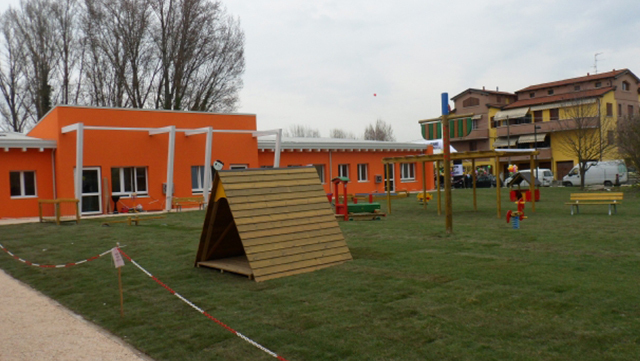 Projects to start over after the earthquake include the reconstruction of a pre-school, which opened its doors in March 2013, thanks to valuable humanitarian initiatives. 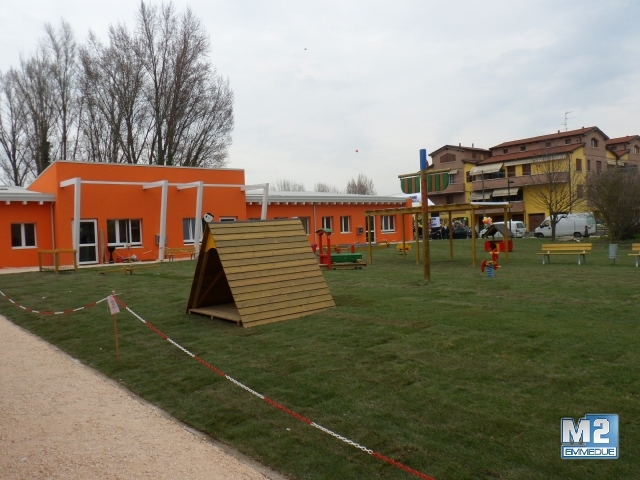 The pre-school, eco-friendly and completely anti-seismic that is now home to about 80 children (ages 3-5), has become an element of urban redevelopment. 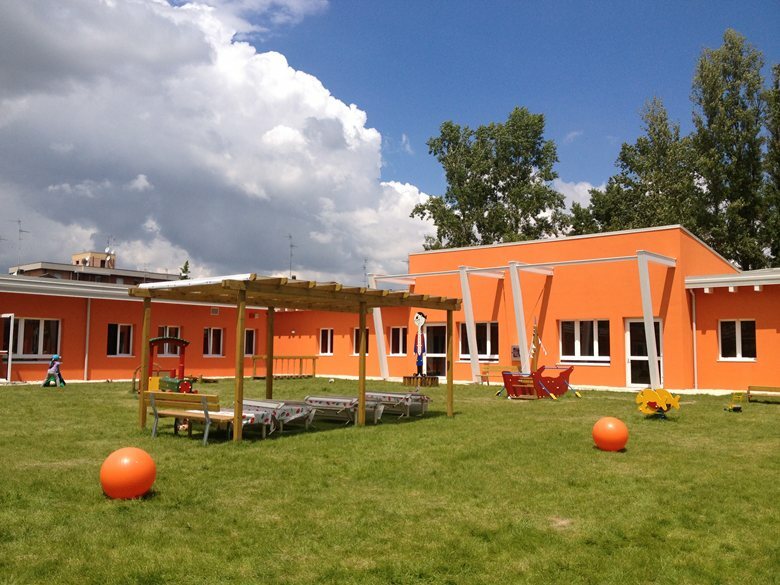 This structure ranges from the classrooms to the outdoor park with great educational games. Emmedue contributed by donating the needed material for the construction of this school, which helped create of a cutting-edge, innovative and, most important, safe area for all. 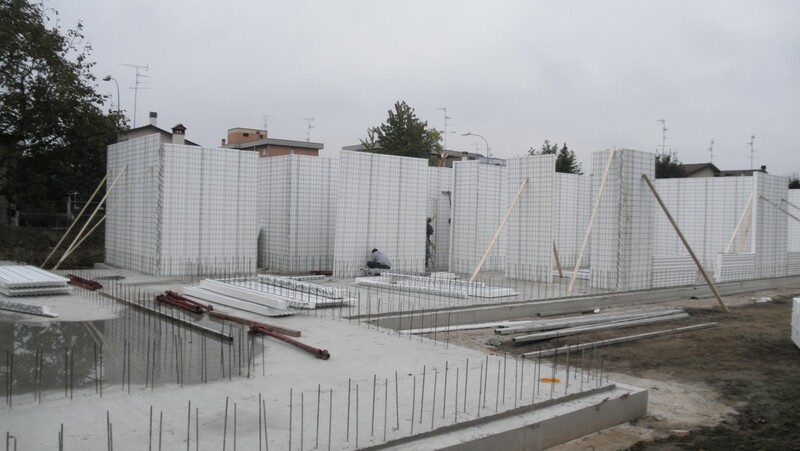 This is a building made with Emmedue panels that guarantee excellent anti-seismic performance, as demonstrated by accurate tests carried out in internationally recognized laboratories. 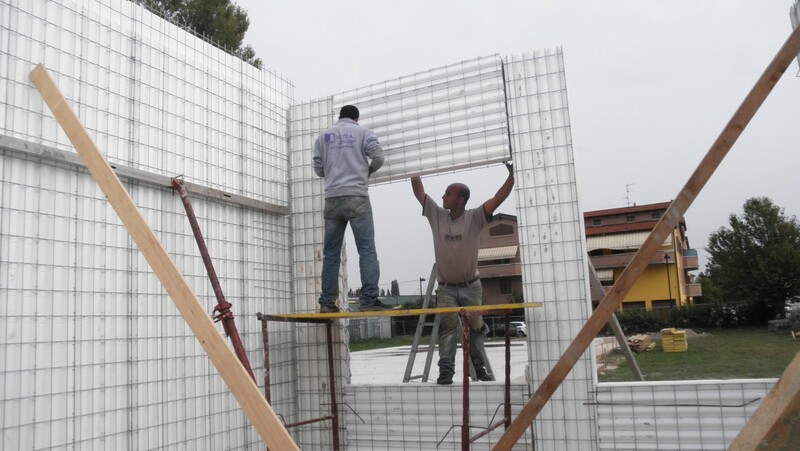 Certainly, Emmedue has always focused on the quality and safety of its product, resulting in constant evaluations of its panels and running anti-seismic tests on real-scale prototypes. 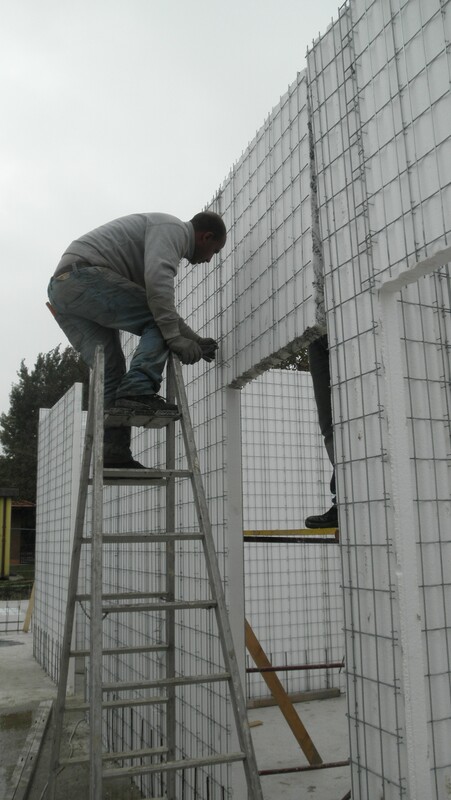 Emmedue structures have demonstrated solid resistance to earthquakes of seismic accelerations much higher than those required by current regulations. The results obtained in these tests represent professional confirmation of what has been repeatedly seen in nature. In fact, the buildings made with Emmedue panels are particularly light, yet tough, reducing seismic mass. This is thanks to the double layer of reinforced plaster that trigger a “shell” box-like behavior of the entire structure. 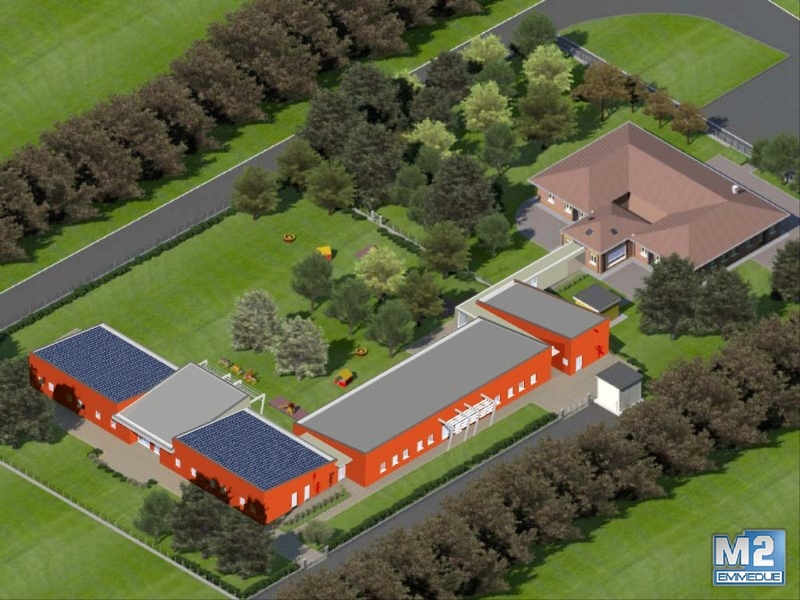 ​The school has been designed in class A, ensuring a high-energy efficiency. 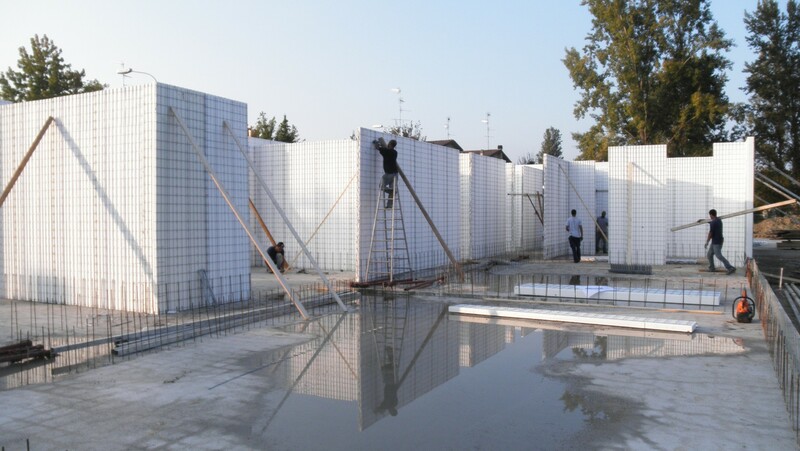 Thus, the Emmedue Building System can produce high-energy efficiency buildings thanks to the enclosure equipped with a continuous polystyrene core, eliminating all thermal bridges.